Gone are the days when the garage was simply a space for just storing motor vehicles or a place to just make repairs or keep things. Today, the garage space has evolved to become a home away from home for many. There is a growing trend of converting garages into quality spaces for multiple uses. Want a place to play ping pong? Or maybe you d like a quiet place to retreat to after a long day at work? Or perhaps you re seeking a secluded location to work on your next big project uninterrupted. Whatever it may be the garage space can be organized and upgraded to meet your needs. When working in garages, the major problem is the temperature. 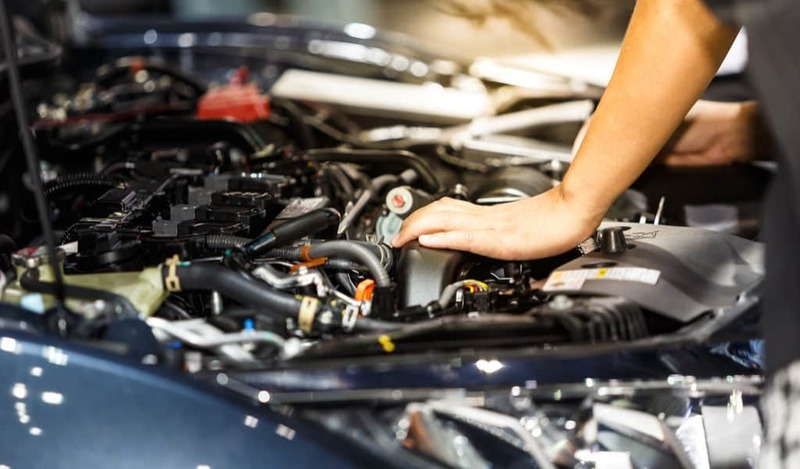 Unlike other living spaces, garages tend to be colder, more so in the winter months, and thus require a heating mechanism to make them warm and comfortable to live and work in. The best way to accomplish this is through the use of a garage heater. Compared to installing a furnace in your garage, garage heaters are much safer units to have.They re also compact with low profiles, are very affordable and very effective to use. Perfect solution for heating enclosed spaces like large tents up to 200 sq. 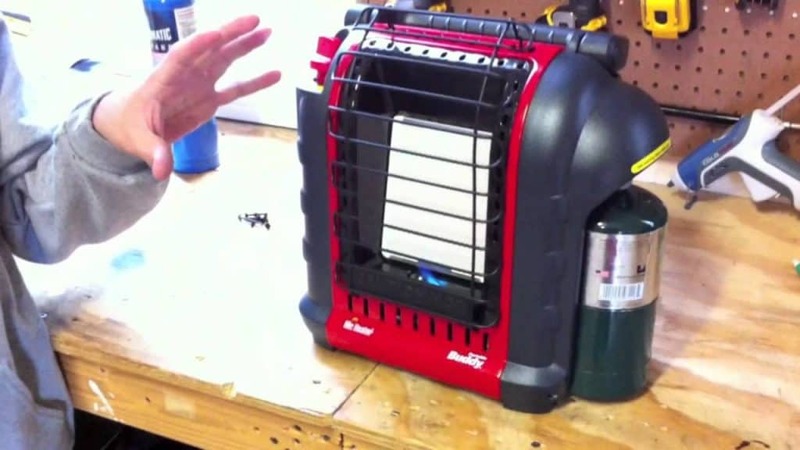 ft.
Are you looking for a highly portable propane garage heater that is safe for indoor use? 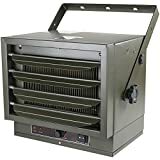 If so, you might be interested in the Mr. Heater F232000 MH9BX heater. Propane infra red heaters, in general, offer instant heat and this model is no different. Instead of heating the air first and transferring the heat to the surrounding objects this propane infra red heater heats objects and people directly thus conserving energy. It can provide continuous heating for up to 5 and a half hours! Furthermore, this heater is equipped with a large heating surface to attain higher desired temperatures much faster than ordinary natural gas garage heaters. Simple on/off buttons - Makes this heater very easy to use. Odor free heat - There is no burning smell whatsoever. Tip-over-safety shut-off - Shuts the heater to enhance safety should it tip over. Porcelain coated heating surface - Radiates heat quickly to larger areas. Poor assembly may at times cause slight malfunctions such as a failure to ignite. The Fahrenheat FUH54 is a heavy-duty industrial heater that is ideal for workshops, garages and even basements. This rugged heater comes with built-in mounting brackets for ceilings that make horizontal and vertical mounting of the heater very easy. 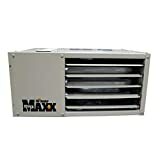 Another great quality of this portable garage heater is the multiple adjustable louvers it possesses that are beneficial in directing heat to specific areas. Weighing 24 pounds, this heater is considerably heavier than many. However, it runs like a machine bellowing hot air with ease. Installation is also quick and the energy consumption rate is low. Multi-purpose - Suitable for outside buildings, garages, basements and workshops. Highly durable - Model was originally designed for industrial use hence its rugged nature. Adjustable louvers - These channel heat to targeted areas. Mounting brackets - Enable the heater to be mounted on walls or ceilings for ease of use. Energy efficient - In some regions users have reported a $1 an hour electricity usage rate by this heater! Heavy - Weighs 24 pounds on average - almost thrice the weight of some heaters. Some units may be poorly assembled e.g. may lack a few screws or louvers may be bent hence a thorough inspection is required before purchasing. This garage space heater weighs a mere 8 pounds and contains halogen lights, Quartz heating elements and a pull cord to enable users activate the machine with ease. It is constructed to be mounted on the wall or ceiling and is perfect for a shop setting or an ordinary garage. This infrared garage heater is among the toughest having a metal housing which guarantees longevity as well as adds to the unit s external protection. Users who enjoy the sun can receive 750 or 1500 Watts of heat that closely resemble that of sunlight at the mere pull of a cord. This heat is also conducive for a woodworking shop. Quartz elements - These shorten the time it takes to heat the garage by facilitating the production of immediate safe heat. Mountable brackets - Allow the heater to be placed on the ceiling or walls to save space and for optimum heat distribution. Overheating protection - Protects the machine against high temperatures. Heat and light are powered separately - This is to conserve power in cases where only one is needed. Lightweight - Weighs only 8 pounds. In some instances the heating elements may burn out in a short period requiring replacement. This is one of the best propane garage heaters due to its ability to produce between 30,000 and 60,000 BTU s that can conveniently provide warmth to a maximum area of 1350 square feet. This heater s usefulness stretches beyond the ordinary garage and can be used in construction sites, industrial work spaces and even agricultural buildings. It has a 20lb tank, a blower with a power supply of 110 volts and a continuous spark igniter. 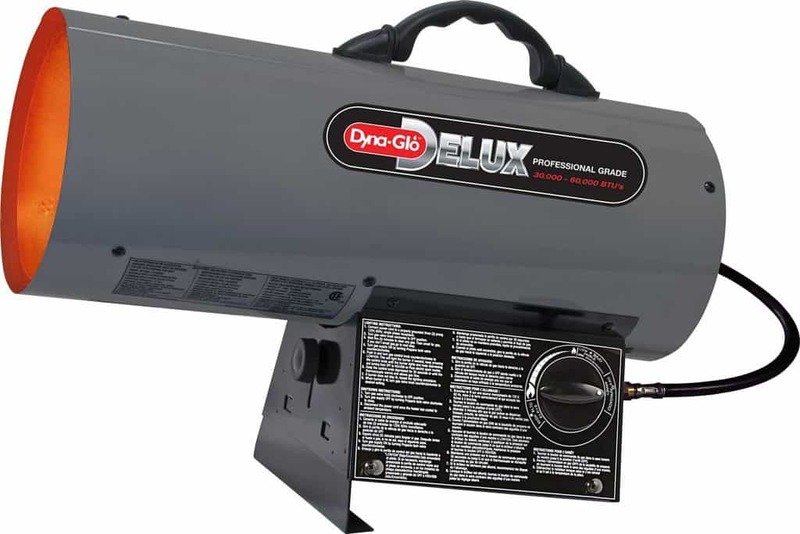 The Dyna-Glo is also among the few heaters that is certified as safe for use in both indoor and outdoor environments. The majority are certified for use in indoor environments only. Tip-over shutoff - Shuts off heat production when the heater tips over to ensure safety. Swivel carry handle - Enhances portability. 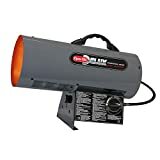 Powerful blower - Can heat up relatively large garages with ease. Simple hookup that is ready to use - This comes together with a regulator and a 10 foot hose for convenience. Adjustable heating angle - Heat can be targeted to specific points with this feature. Continuous electronic ignition - accelerates ignition speed and prevents delays. Relatively heavy - Weighs 16.8 pounds; almost twice the weight of some garage heaters. It is slightly louder than conventional heaters. 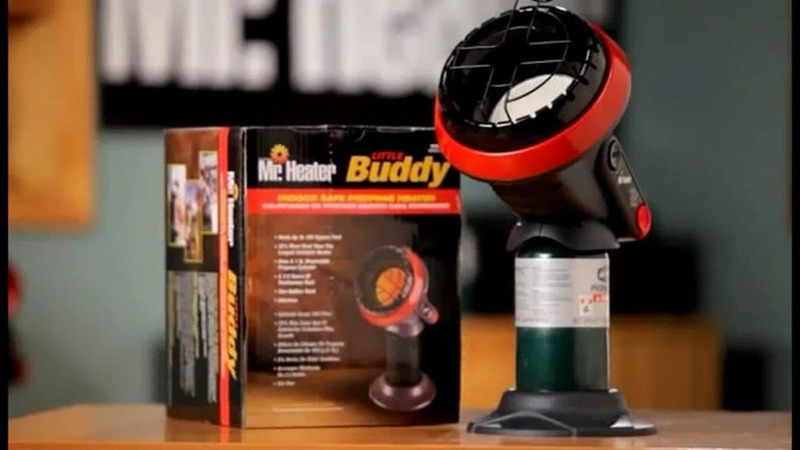 This garage space heater is designed mainly for garages and shops. It can also be used in other environments provided a 20 amp receptacle is present. It s moniker “The Hot One” is derived from this heater s ability to attain up to 4,000 watts of heat. It has a durable bracket which can be used to support the machine on a level surface or to mount it on a wall. It boasts two settings i.e. high and low. The Cadet RCP402S can also be tuned to work on a fan only mode. This model also sports a beautiful red finish that adds greatly to its aesthetic appeal. Design - It compliments many shops and garages. Dual temperature settings - Users can switch between high and low options as needed. Comes with a six foot cord - The cord requires a NEMA receptacle of 30 amp to function. Elegant - It is built with a magnificent red finish that makes it stand out beautifully. 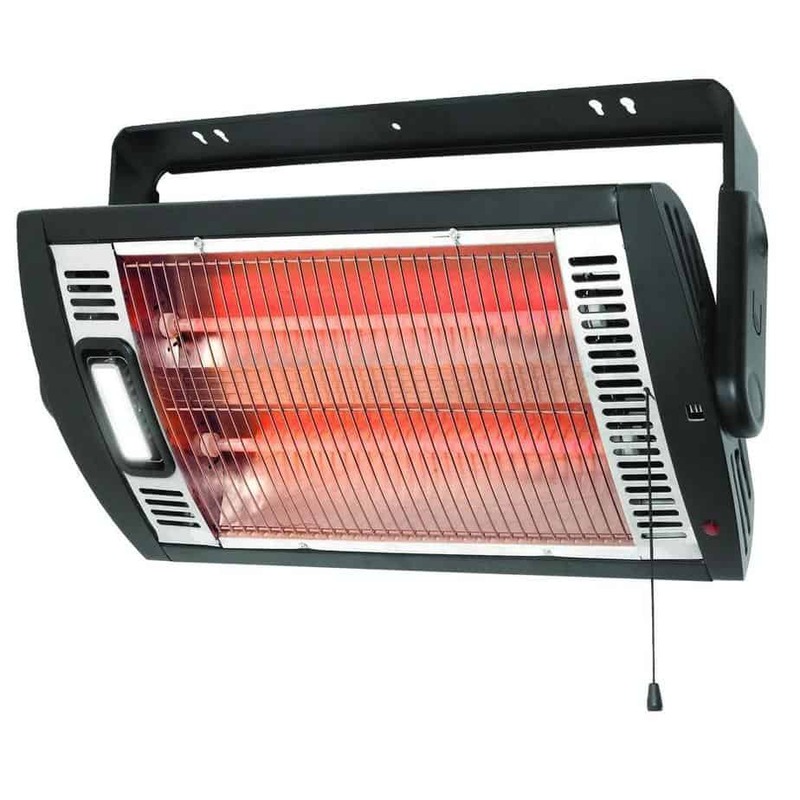 High heating capacity - This heater can attain a capacity of up to 4000 Watts. Some units are prone to mechanical issues due to poor assembly at the plants. The blower, fan e.t.c. may malfunction sooner than expected because of this. 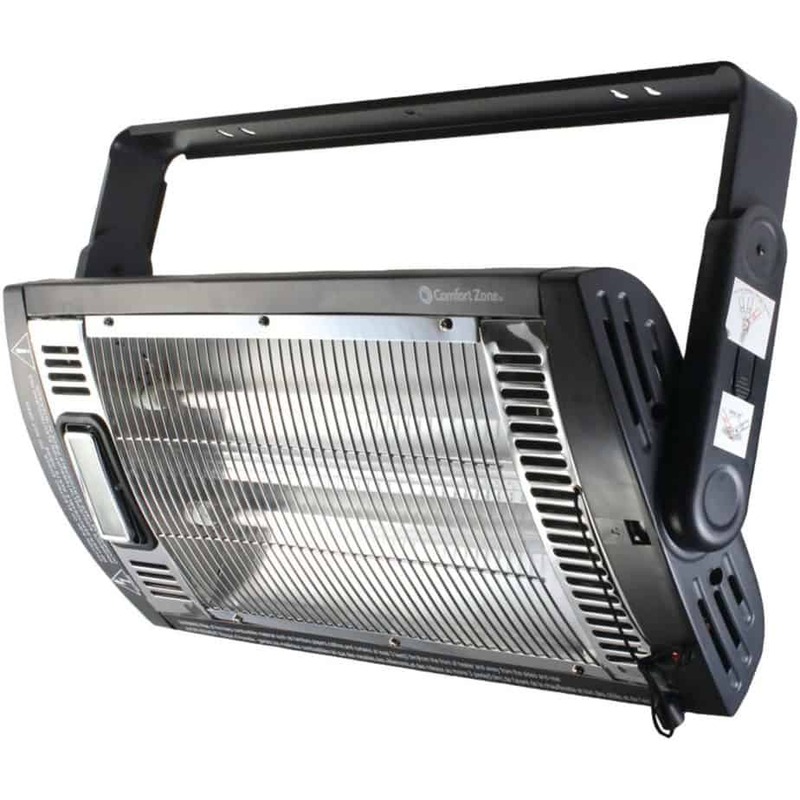 This garage heater model comes with a tilting bracket that can slant 90 degrees vertically, a grounded plug with 3 prongs, an 80 inch long cord as well as a pull string switch that users can yank to control halogen lights and the machine s heat settings. Comprised of highly efficient Quartz elements, this heater is able to provide immediate safe heat. It comes with a 760/1500 Watts heat setting to cater for different environments and user preferences and is also mountable on ceilings or walls.The comfort Zone electric garage heater is also ETL listed - meaning it has achieved the minimum set product safety standards for garage heaters. Dual heat settings -Users can alternate between 760 and 1500 Watts. Angled halogen lights - Users can adjust the lights to the angle of their choice. Tilting brackets - Supporting brackets can achieve a 90 degree vertical tilt for users who prefer to direct heat to specific areas. Metal housing - The heater is encapsulated in a metal case for enhanced protection and durability. Quartz elements - These allow for much faster heating of a garage space. Some units are prone to malfunctions due to poor assembly at the factories and plants. Looking for a garage heater that can keep you warm and also work as a dryer for your walls, carpets and floors? If so, the Stanley 655704 might just be for you. This model features a multi-purpose blower fan with three powerful speeds great for maintaining warm temperatures and drying moist walls and wet carpets. 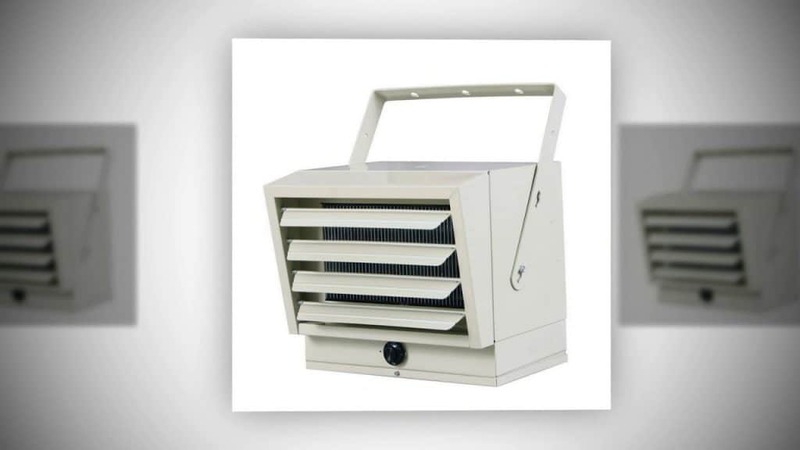 This heater also comes with a utility fan that pivots making it a great machine to have in confined spaces such as attics, garages and basements where fresh air may be in limited supply. It is highly portable i.e. weighs only 7.6 pounds and is also ETL listed. 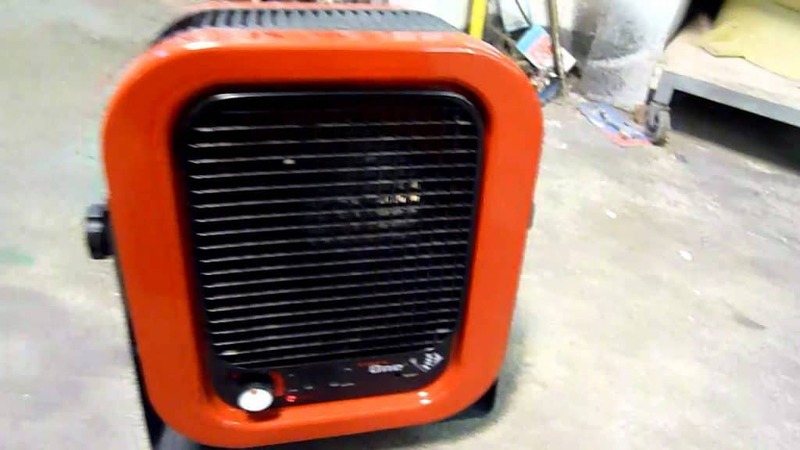 Fully assembled - This electric garage heater comes fully assembled and can be used immediately. ETL listed - This heater is considered safe having attained the minimal safety product requirements. Other accessory use - There are 120 volt outlets on the machine that support the use of other accessories. Elegant - It has a beautiful yellow exterior that makes it very pleasing aesthetically. Circuit breaker - Protects the machine against excessive current. Some units can become loud after a few months due to poor assembly at the packaging point. Made of plastic which is prone to breakage. Do you prefer using heating equipment from the Mr. Heater brand? If so, consider acquiring this Mr. heater garage heater. This heater possesses a swivel regulator that allows for easy hose as well as a liquid propane cylinder installation. It is diverse i.e. comes with a piezo igniter as well as four position control ability that allows for the channeling of heat to specific portions in a garage. This model is also highly durable i.e. it is built with shock absorbing insulation to prevent damage during falls. Mr. Heater F215100 is also among the easiest to use possessing simple buttons that can be manipulated to control the temperature. Odor free heat - There is no smell of burning propane whatsoever. 5 and 1/2 hours of continuous heat - The period a full propane cylinder is fully utilized in this model. Tip-over auto shut - Heating process is halted when the machine tips over for safety reasons. Easy to operate - Heating is carried out by the push of a button. Low oxygen sensors - to ensure maximum combustion of propane is carried out. Some units are prone to breakages and malfunctions due to poor assembly and transportation. Slightly overpriced compared to most. Looking for a heater that is highly efficient to use during the winter months? If so, consider acquiring this infrared garage heater. This heater possesses a dual heating system that uses Quartz elements as well as PTC to ensure minimum power is consumed during heating. Unlike conventional heaters, the infrared rays present heat objects in the room instead of air thus warmth is generated at only the fraction of the time. Making a switch to this model is also guaranteed to save you money in the long run - as much as 50% or even more! Also, infrared rays do not rob the air of moisture like other conventional heaters. Auto energy saving mode - Allows the heating of large rooms with minimal energy at both high and low temperatures. Infra red remote control - Allows the user remote access to the heater. Dual heating system - Allows for heating to occur at a faster rate. Energy efficient - It heats objects and people directly instead of the air. Quiet blower - Users can carry on with their projects uninterrupted. Long life - Up to 80,000 hours of operation. Heavier than most garage heaters - Weighs roughly 24 pounds. 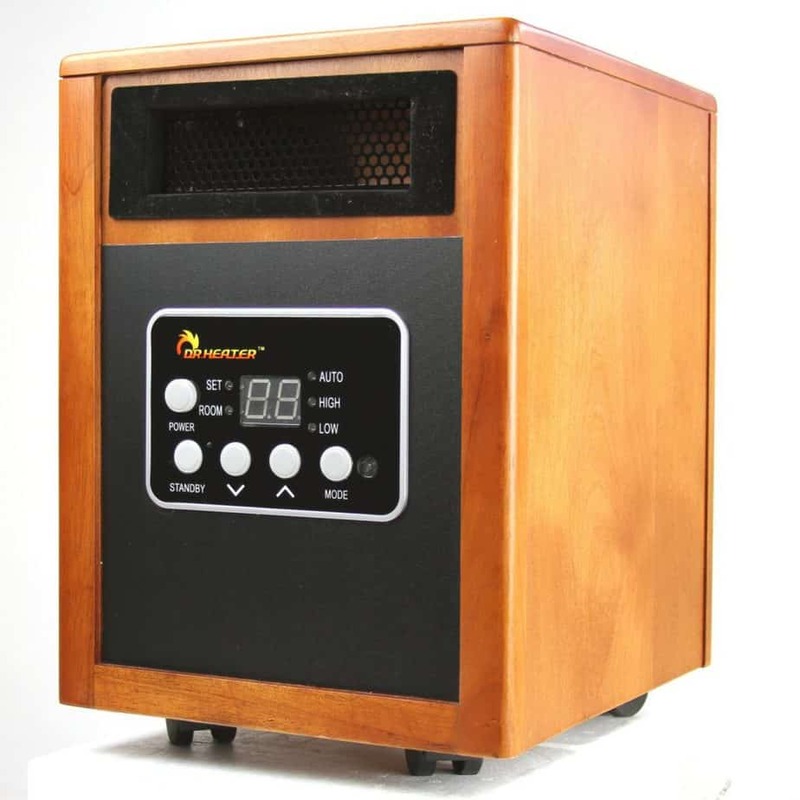 This heater from Mr. Heater takes garage heating to a whole new octave by its unique ability to produce up to 18,000 BTUs. In order to attain maximum heating efficiency it combines both convection heat air flow and radiant heat - an ability lacking among the majority of garage heaters. The heater also has adjustable heat setting controls for different environments to sustain user comfort. Other great features include dual ceramic burner tiles, porcelain coated reflectors, a safety wire guard for added protection and a swivel regulator mount for making the installation of cylinders easy. Produces between 4,000 and 18,000 BTU (British Thermal Units) - This allows it to power areas of up to 300 square feet. Auto shut-off - The heater shuts itself off automatically should it accidentally tip over to avoid becoming a safety hazard. This also happens when low oxygen levels are detected by the heating system. Multiple temperature control options - users can choose between high, medium and low levels depending on their needs. Slightly heavier than most - Weighs roughly 20 pounds. Sometimes the flame may flicker constantly in the low setting indicating an assembly problem. Garages, in general, are cool spaces during the summer months. They are a convenient getaway when you need an environment to hide in that is not as hot or stuffy as the main house. However, during the winter, the coolness associated with these spaces escalates greatly making them oh SO cold. It s not uncommon to see garages completely abandoned during this period. 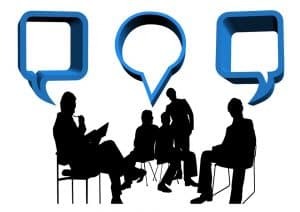 If you enjoy spending time in your garage; perhaps chilling with your friends, playing your favorite game or just working on a project in silence the good news is you can continue to do so even in icy cold weather. This can be made possible by using a garage heater. Garage space heaters are the most convenient heating options for garages.If you re looking to acquire one, here are a couple of things you need to consider. The most common heaters for garages include the infra red heaters and the fan forced heaters. Understanding how both of these heaters work will help you determine the best type to get for your garage space. 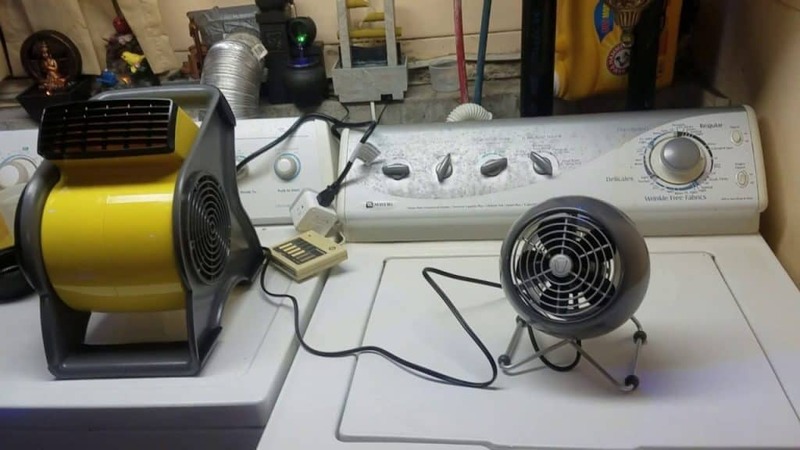 In a nutshell, fan forced heaters, true to their name, are heaters that function by using a fan to propel air over a heat source where the air is heated and then forced out of the heater. Thus, through this method, the surrounding area becomes warm. 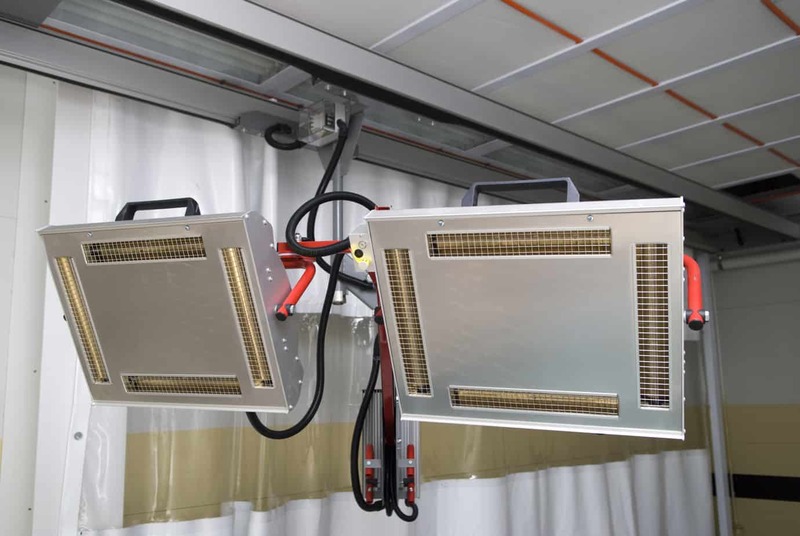 Fan forced heaters are very popular since they can heat enclosed spaces relatively quickly making them ideal for garages, laundry rooms and even workshops. If you re worried about human traffic affecting the generated warm temperature i.e. excessive movements in and out the room; asking people to raise the thermostat value when they enter the room should solve the problem. Some of these heaters even have cybernetic mechanisms that detect the deviation of temperatures from the set goal and correct this deviation automatically by increasing the heat until the desired temperature is achieved once again. Fan forced heaters are also widespread because of their highly compact design which makes them to require much less space than conventional heaters. These are heaters that function on the basis of the heat radiation principle. Unlike fan forced heaters which work by heating the air which then transfers the heat to the surrounding objects and people, these heaters emit infra red radiation to objects i.e walls, ceilings e.t.c. and the heat from the objects is transferred onto the air. When dealing with infra-red heaters it is recommended not to place these devices too far or too high from nearby objects as it will take much longer to feel the heat that is generated. Both heating units mentioned above are just as effective in heating but which is the best for you? The answer - it depends. Fan forced heaters are less effective in garages where doors and windows are opened frequently since most of the heat in the room will dissipate very quickly as the invading air mixes with the warm air inside. Even with heating cybernetic systems in place it will still take much longer for fan forced heaters to attain the same temperatures as before. In such cases, infra red heating units are preferred. On the other hand, if your garage is less prone to human traffic and there is very minimal cold air interferences from the opening of doors with the hot air in the garage then either the fan forced heater or the infra red heater can be used. In such cases, a garage with little hot air escaping occasionally will result in a negligible heat difference being felt as a result of using either of these options. Most users want a heater that is very safe to use but which of the two popular heaters mentioned above should you purchase? When considering safety any heater that can be knocked over and cause a fire risk should be avoided at all cost especially if it is to be used in a garage where people sleep. For this reason, it is advisable to search for a heater that has a tip-over shutoff ability regardless of the type. This ensures, in the event it falls over, heating is deactivated until the heater is readjusted to prevent it from becoming a safety hazard. Still on safety, it is advisable to choose a heater, be it infra red or fan forced, that is rated to be used in a particular room or garage. For example, if a garage experiences a certain level of moisture then using a heater that is not built to perform in garages with such moisture levels could cause the heater to fail. Such heaters have also been known to pose fire risks. Whatever heater you choose remember never to leave any heater unattended especially if there is anything flammable in contact with it or around it. Even where there isn t, there should be regular supervision especially if the device is from a non-reputable manufacturer. In this regard, users can base their choices on their preferred tastes and preferences e.g. is the heater producing the type of heat that a user enjoys, is the user comfortable with the level of noise produced during heating, does the heating unit complement the user s garage setting e.t.c. When choosing purely out of personal preference between the two popular options here are a couple of things to consider. Infra red heaters, for example, tend to produce heat that feels “warmer” than fan forced heaters since they do not deplete the moisture in the air like fan-forced heaters. In this regard they are also preferred because limited ventilation is required when using them. Their heat is also more concentrated hence the “warmer” effect. On the other hand, fan forced heaters are preferred in instances where there is a lot of still air or in garages where short bursts of warm air are required occasionally. In such instances these heaters are the better options as their response to generating heat is quicker than the infra red heaters. Some users have also been known to choose infra red heaters over fan forced heaters simply because they prefer to work with more skin exposed and want to maintain the humid conditions in the garage for much longer. With infra red, users can work in relatively cold garage environments but still have that warm feeling on their skin. This is similar to experiencing the sun s rays on a cold winter day. If this is what you prefer then choosing an infra-red heater is the way to go. Before delving into calculating efficiency it is important to first grasp what the term “efficiency” means. A garage space heater is said to be 100% efficient when all the incoming electricity is converted into heat energy. This is the engineering perspective. That said; many people looking into heater efficiency are not concerned with this perspective but rather how much electricity a heater consumes and how their total energy costs will be affected. In this regard, there are many factors that go into determining heater efficiency such as the nature of the heating system, the climate of the area, the electric rate, other sources of heat that may be present in a garage e.t.c. Energy efficiency is an indicator of the amount of energy that is transformed into heat and the fraction that is lost during the process. It is usually expressed as a percentage. Two variables are considered: the energy output and the energy input. To determine the efficiency the energy output is divided by the energy input and the result is expressed as a percentage. There are also several online BTUs (British Thermal Units) calculators that can help you determine heat efficiency i.e. how much heat you will require for a particular garage space in order to help you avoid choosing heaters that fall short or overperform. Fan heaters, generally, require small amounts of electricity to power their motor which in turn distributes warm air across a room. Technically, this would mean that they are very efficient but this observation would not be accurate. It s true; a lot of heat is generated in the fan and small amounts of electricity are consumed. However, a significant portion of the saved energy tends to be lost as the air is distributed from the fan and channeled across the room. Depending on the heater being used this might mean keeping the fan working for a much longer period ultimately leading to elevated energy costs. The efficiency of heaters is also greatly determined by the method used to heat the garage. Should you use a centralized heating system you will be paying bills for heating large parts of a garage regardless of whether you re using those sections or not. However, with localized heating systems, you can heat individual sections and pay only for the heat generated in these sections thus keeping your total costs at a minimum. When choosing a heater to use in your garage you will have to choose a heater that is powered by one of these three fuels. In order to determine the best heater for you a close examination of all three options is required. There are many advantages associated with choosing a propane powered heater for your garage. Here are just a few. Energy efficiency - Compared to electric heaters, propane heaters cost about a third less when set to produce the same amount of heat. Safety - Propane gas is very safe to use. It is regarded as one of the safest gases to store and use in homes and garages with no serious safety issues. Highly combustible - No time is wasted waiting for the gas to ignite. The gas is highly flammable and ignites super fast. It is important to note that this gas will not ignite when combined with oxygen unless the ignition source attains at least 940 degrees Fahrenheit. This works as a safety measure in case of leaks. Clean - Propane is a very clean fuel that produces negligible waste when burnt. With propane there is no sooty residue whatsoever. Affordable - The price of propane is relatively low. Also, there are many propane gas combinations in the market. This means that users operating on a budget can be able to afford propane gas. Compared to air, propane is denser. This means that in the event of a leak, instead of the gas drifting across the room like most gases, it will instead sink to a particular area where it is likely to become a safety hazard i.e. can result in a fire or explosion. Ensure you do a thorough scrutiny of your heater to detect potential propane leakage spots for extra protection. Electric powered garage heaters have some excellent benefits associated with them. Quiet operation - Electricity is the most quiet fuel of them all. The movement of electrons which results in a current produces no noise at all. The use of electricity by garage heaters is also similarly quiet. Heaters that use electricity usually contain a coil/ electric heating element that heats up with no noise whatsoever. The heater comes with a propeller fan which is situated behind the coil whose main job is to push air over the warm coil and into a shop or garage space. Depending on the fan installed, users are guaranteed to work without any interruptions. Installation - Garage space heaters of electric nature are much easier to install than other heater types mainly because there is no gas line involved. In some homes, it is unaffordable and sometimes impractical to wind a gas line all the way to the garage. Even if it was possible it is certainly not a do-it-yourself task. Homeowners will be forced to hire licensed electricians and plumbers to get the job done well. In such instances choosing an electric garage heater is the most convenient way to go. Cost - Compared to propane and other natural gases, electricity is relatively expensive. It is estimated that the electrical energy consumed by garage heaters is 33% more than what is required by propane heaters. High minimum voltage also plays a role in the high costs. Most heaters require at least 240 volts. This voltage is equivalent to that of a clothes dryer or an oven! Natural gas is flammable gas that occurs naturally in the ground and is used as a fuel. It is composed of many gases all of which have highly flammable properties. It should be noted that although propane is a distinct gas on its own it is a part of the combination of gases such as Butane, Methane, Ethane e.t.c. than make up natural gas. So, is there a difference to choosing natural gas over propane and electricity? Lower energy consumption - Compared to electricity, heaters that use natural gas consume much lower energy. Outages - Natural gas is in abundance in the earth and hence there are no outages. The same cannot be said for electricity which is heavily influenced by weather. With natural gas garage heaters users can enjoy warmth throughout without any disruptions. Efficiency - There is an approximated 90%+ energy efficiency when you use natural gas heaters. This is because the pipeline that delivers the gas is well insulated ensuring optimum gas transportation and gas conversion to heat energy. Only about 10% of the energy created is lost - a very small percentage when you compare it with electricity whose efficiency rate cannot be pin pointed accurately due to the many variables present. Environmentally friendly - The by-products generated during combustion are very little and do not impact the environment in a negative way. There are also no odors, soot or ash left behind after combustion. Safer to store - Concerned about safety in your garage? Consider getting a garage heater that is powered by natural gas. Natural gas is much lighter than Propane. The relative density of natural gas compared to Propane is 1.56. This also means that Propane is much denser than air. Natural gas, however, is not. In the event of a leak, natural gas will simply rise, mix with the air and dissipate posing a very minimal safety hazard. Not as hot as propane. - Propane can achieve much higher temperatures than natural gas over the same period of time. This is because Propane, unlike natural gas, is not a collection but a single gas. It is easier to refine a single gas to a much greater degree than to refine multiple gases all at once together. For this reason propane is able to burn much brighter than natural gas due to the much lower level of impurities present. As shown, each option has its pros and cons. If you d like to spend less on your heating expenses it is advisable to choose a Propane heater since it burns much brighter and consumes very little energy. However, if you re very concerned about safety it is advisable to stick with natural gas heaters. Electrical heaters are the best for homes where gas pipelines may be costly to install or to work around the house architecture to the garage. Feel free to choose either depending on your needs and preferences. Concerned about the risks a garage heater might cause to your garage space or home? Here are a few safety features to look for in garage space heaters that are guaranteed to enhance your safety. Tip-over auto-shutoff feature - To be safe always ensure the heater you choose comes with a tip-over auto-shutoff feature. This is especially important if the heater will be placed in a location where it might easily get knocked over by moving objects and people. The auto-shutoff feature will immediately disable the heater s operation immediately it detects the heater has tipped over to avoid causing a safety risk. Low oxygen sensors - Heaters with inbuilt low oxygen sensors are safer than those without. The simple reason is such heaters are programmed to carry out combustion only when specified levels of oxygen are present in the air to avoid depriving humans of oxygen and subsequently causing suffocation. This feature is very beneficial in environments with limited ventilation. Simplicity of buttons - On the surface, ease of use of a heater s buttons might not look like a safety feature but in cases where the heater malfunctions being able to turn the machine off quickly can prevent potential disasters. Similarly, machines that can be turned on with ease and can also facilitate continuous electronic ignition are less likely to malfunction and cause fires or pose other safety hazards. Overheating protection - Before purchasing always read the fine print to determine if a heater has a temperature limit that will prevent overheating of the machine. Overheating can shorten the lifespan of the heater or even worse, cause the heater to ignite and burn. This, ofcourse, depends on the quality of the model. A brief examination of the heater s design can be used as an indicator of its ability to manage excessive heat e.g. an external metal cover. ETL mark - ETL marked garage heaters have passed the minimum requirement test that ensure they are safe for use in specified environments. The ETL mark also indicates the heater complies with the international safety standards. Customers concerned about the safety of garage space heaters and don t want to go to the trouble of scrutinizing each model can simply look for the ETL mark as a definitive way of gauging a heater s safety. When choosing a heater, settings plays a huge role in determining the amount of heat a garage receives. If you need moderate heat then choosing a heater with a three setting feature i.e. high, moderate and low is more suitable for you especially if the heater is large. In moderate garages, heaters with a two feature setting will suffice depending on the lower and upper heat limits. Large heaters that can produce anywhere between 4,000 and 18,000 BTUs such as some mr heater garage heaters should only be used in large garages since they tend to have only a two setting feature. Do your research to ensure you get the best value for your money; the heater you receive can cater to your needs and that the heater is highly efficient. Acquiring a quality garage heater is one sure-fire way of maintaining warm temperatures in your garage or workshop during the cold and chilly months. Keep in mind there are different garage space heaters for different types of garages and environments. If you re looking for a machine that will best cater to your needs perusing through multiple garage heater reviews will open your eyes to a lot of possibilities. Also worth remembering is if you have a large garage or workspace your best options are between a gas powered heater and an electric powered heater. The gas can be either Propane or just natural gas i.e. a combination of flammable gases. Whichever option you choose always ensure you make safety your top priority. 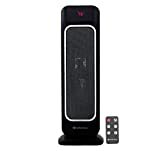 Some online retailers such as Amazon offer heaters at great prices and with a variety of safety features.